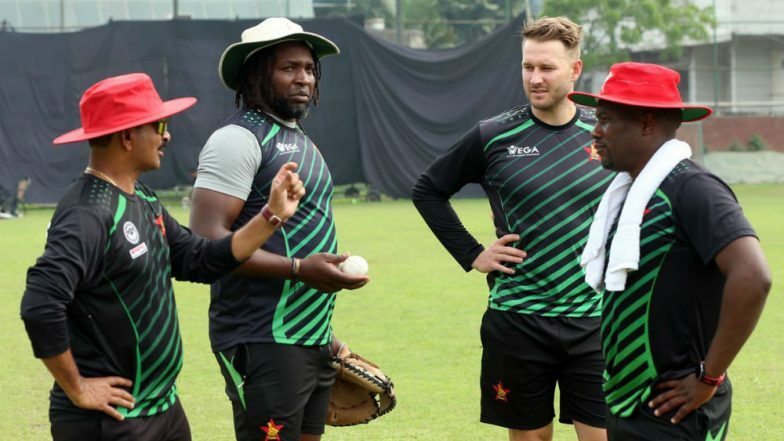 After winning the second ODI by four runs by the DL method Zimbabwe and the United Arab Emirates are all set to lock horns against each other for the third one day match at Harare Sports Club in Harare. Before we get into the live streaming details of the third ODI, let’s talk in brief about the last match. From the UAE’s side, Ghulam Shabber and Shaiman Anwar were the ones to score the maximum runs. Ghulam scored 56 runs whereas, Shaiman Anwar made 72 runs. The team scored 169 runs. United Arab Emirates tour of Zimbabwe 2019 – Schedule. On the other hand, Zimbabwe’s Regis Chakabva scored 78 runs and captain Peter Moor made 45 runs. Both the batsmen remained not out, but in the end, it was the rain which played the spoilsport. The Duckworth–Lewis method came into the play and the hosts walked away with a four-run victory against Zimbabwe. Now, talking about the third ODI, both the teams will leave no stone unturned to win the third game. Let’s check out the live streaming details of the match. ZIM 0/0(0.1) | Zimbabwe vs UAE Live Cricket Score 3rd ODI Match. The third ODI between Zimbabwe and UAE will take place at the Harare Sports Club. The ZIM vs UAE 3rd ODI action starts at 01:00 p.m (IST). Meanwhile, Zimbabwe has won the toss and have elected to bowl first. However, the match start has been delayed due to rain. Where to Watch the Live Telecast of ZIM vs UAE 3rd ODI? The official broadcaster of the Zimbabwe vs UAE ODI series is Orbit Showtime Network (OSN). However, its live coverage will be available only in middle-east on OSN Cric channel. In India, unfortunately, there will be no telecast of the ZIM vs UAE ODI series. Some reports state that ZIM vs UAE ODI series will be available on Star Sports and Hotstar in India, but those are not accurate. Where to Watch Free Online Live Streaming of ZIM vs UAE 3rd ODI? With no live telecast available in India, there will be no live online streaming of ZIM vs UAE 2nd ODI. Fans in middle-east can head to OSN’s official website to find out if any live streaming is available or not. For the live score updates and the ball-by-ball commentary of ZIM vs UAE 3rd ODI, fans can click here!